It’s been a pretty crazy couple of weeks here in the Little Kickers Jungle. We've been preparing for the Jungle Games, a big tournament for all the mascots and animals of the jungle. I had a match yesterday against the Hyenas and I missed the simplest goal by one of my whiskers! The Hyenas haven’t stopped laughing about it since! So, I am going to practice really hard this week. To help me, I’ve created a really fun game, perhaps you could play it too? Little Kicks – try little kicks up to the bottle and then do a giant kick! 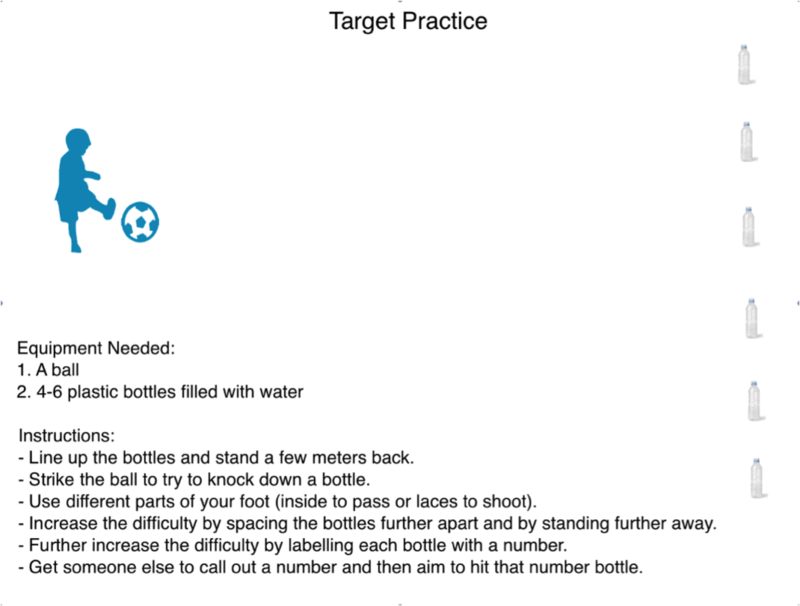 Mega Kickers – every time you hit a bottle take TWO steps back!